Rental laws vary from state to state and also can change in emergency situations. In the case of the North Bay wildfires that devastated parts of California, lawmakers issued a state of emergency. During the declared emergency, landlords were prohibited from price-gouging rental rates to profit from the situation when consumer demand was high. Penalties for disregarding this law included steep fees and possible jail time. The wildfires brought regulation changes that were situational. Our Sacramento property management team at Real Property Management SAC-METRO helps landlords understand local and national laws in order to avoid costly legal pitfalls. Various Sacramento property management companies offer a wide range of services. But our professionals are highly trained to know every rental law to make sure you as a homeowner are legally protected at all times. Landlords also need to be aware that rent cannot be collected for any home that is uninhabitable. Rental regulations require that a unit is livable and safe for the tenant. The wildfires displaced many renters and sent families looking for new housing options. 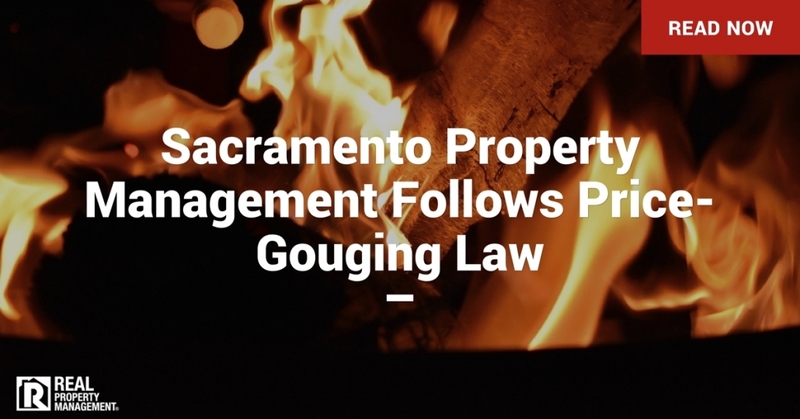 Our Sacramento property management professionals are available to guide landlords and tenants through such situations. Why You Need to Partner with an Expert Sacramento Property Management? While many Sacramento property management companies strive to keep their clients happy, we don’t stop until you are completely satisfied. At Real Property Management SAC-METRO, we work day and night to provide the best care possible of your investment property. During a state of emergency or on any other given day, we take our duties seriously. You do not want to be caught in a lawsuit for not complying with local or national regulations. Penalties and fines hurt your cash flow and interrupt your business. We want to see you be successful. With more than 30 years experience, we know how to make you a profitable landlord while also following all necessary rental laws. Put our team to work for you. Give Real Property Management SAC-METRO a call today.